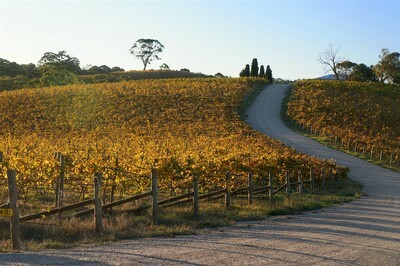 Meet The Tuscan Cellar Door Pizza Lunch - Book Now! Blanch peas and broad beans for 30 seconds in saltrd boiling water. Strain and rinse in cold water to refresh. Pound peas, broadbeans, mint and sea salt in a mortar and pestle (aiming for a rough mixture rather than a smooth paste). Add goats curd, olive oil and yoghurt, stirring through until everything combines and a vibrant green colour is acheived. Season with salt and pepper to taste. Cut ciabatta into 1cm slices and grill (if you are a perfectionist use a griddle to get diagional charred stripes). Glently rub the grilled bread with half a cut clove of garlic, drizzle with olive oil and add the topping before serving with one last drizzle of JOSEPH oil over the top, because as Joe says 'too much olive oil can only be good for you!'. 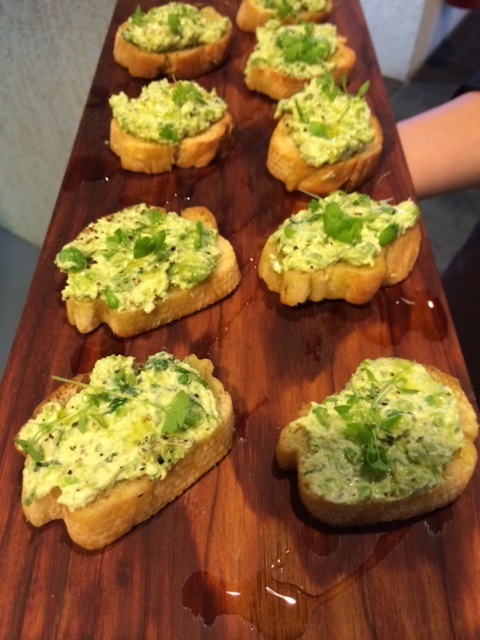 With thanks to our friends at La Dolce Vita Catering for sharing their delicious recipe. Mark your diaries Sydneysiders: Mark, Richard and George are bringing our McLaren Vale cellar door experience into the heart of Sydney running three days of JOSEPH Experience tastings and a Primo Estate tasting bar at the foodie hot spot of Kitchen by Mike in Rosebery. Featuring our classic JOSEPH Experience tasting plus all your favourite Primo Estate wines there will be some very special offers on the day allowing you to stock up for Christmas. To book your JOSEPH Experience tasting please ring the Primo Team on 08 8323 6800 or email cellardoor@primoestate.com.au (please note that Kitchen by Mike will not be taking cellar door bookings). We've HALVED our Interstate Shipping Rate! 'Hidden within the Langton’s Classification VI announced last week was the return to the list of Joe Grilli’s Primo Estate Joseph Moda Cabernet Sauvignon Merlot. The four-yearly updated classification recognises the top echelon of Australian wines collected and traded via the leading Langton's auction market. The Joseph Moda coincidentally is celebrating its 25th anniversary with the release of the latest (2012) vintage, and to look back at its vinous history Joe recently opened up every one of them. The collection is a testament to the ageing ability of cabernet sauvignon (albeit in a blend with merlot), and also a fascintating glimpse into the unusual “amarone’ technique Joe employs in the drying of the grapes before they go into the winery. The drying allows flexibility to pick grapes earlier and retain their natural fruit brightness, but also prompts with age a complex array of flavours that appear like beef stock through to roasted walnuts and panforte. One thing Joe is convinced about is cabernet sauvignon’s suitability. We're a 2014 Trip Advisor Certificate of Excellence Winner! Wow! What an honour to be ranked among the most consistently high scoring attractions on the Trip Advisor site. It's the fact that Trip Advisor reviews come from the public makes this award extra special. Thank you to everyone who reviewed us! Join Our 25th Olive Harvest Celebration! Enjoy the new season's JOSEPH Extra Virgin Olive Oil fresh from the press. Nothing is more delicious than absolutely fresh olive oil, taste the difference as you indulge in a menu of olive oil based dishes accompanied by Primo Estate wines.